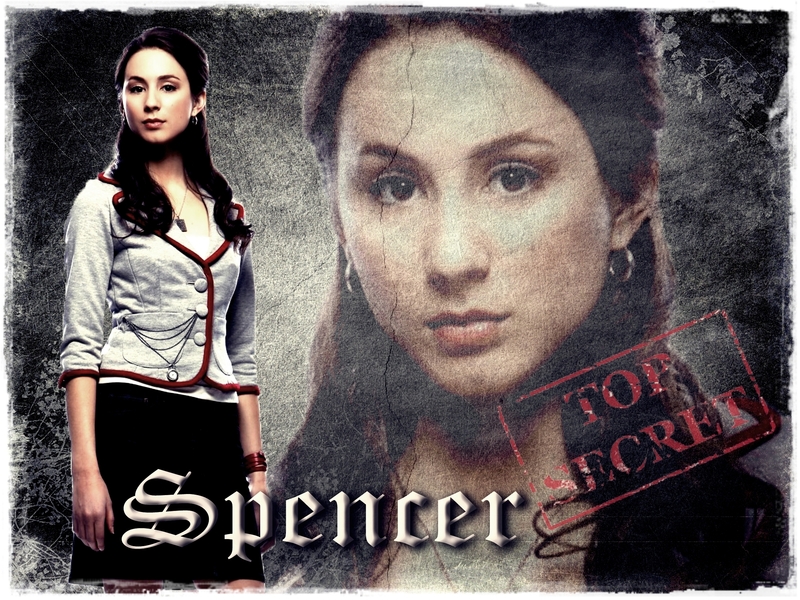 PLL - Spencer. . HD Wallpaper and background images in the Pretty Little Liars la série tv club tagged: pretty little liars season 1 spencer. This Pretty Little Liars la série tv wallpaper contains anime, bande dessinée, manga, and dessin animé. There might also be journal, papier, magazine, tabloïd, chiffon, livre, signe, affiche, texte, tableau noir, tableau, affiches, portrait, headshot, gros plan, and closeup.